CaptionSync allows you to submit YouTube URLs for Closed Captioning. This article describes troubleshooting tips. Sometimes AST can't download the media file available at the YouTube URL customers provide us with, because their servers will decline to provide the media. One of the workarounds is to retry a bit later, using our Retry Fetching List Items feature, on the URL List Details page, under the Status of Lists page. Or, to do a submission via browser, on your AST account, using the original file. If you get an error message from CaptionSync saying "We were unable to download and process the media from "YouTube URL". The result code is: HTTP/1.0 200 OK", then please make sure you check that the media file has already been processed by YouTube. If you submit the URL for captioning/transcription before Youtube has processed your media file, then your submission could fail. Other times, YouTube does not give us the full file when our system attempts to pull the movie down -- particularly for longer movies. 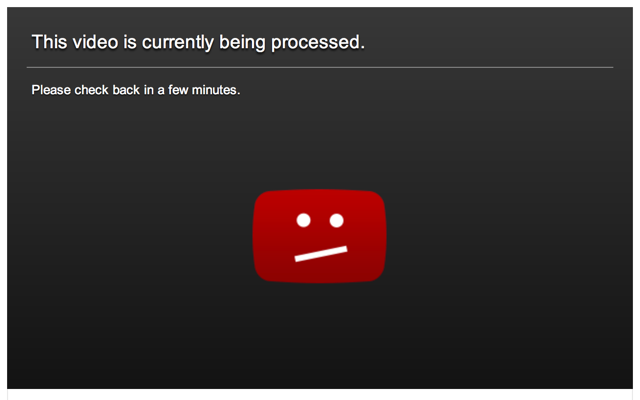 Our system has no way of knowing that YouTube did not provide the full movie. So, it is better to check the length of the submitted files in the Status of Submissions section, once the upload is finished. One workaround, when the file is incomplete, is to do a submission via browser, on your AST account, using the original file.